Blackout dates may apply. All sales are final - no refunds or exchanges. Offer subject to availability. Not valid in combination with any other offers. Normal service charges apply to phone and internet orders. Performance schedule subject to change. Offer may be revoked or modified at any time without notice. 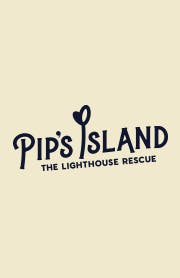 As explorers on the first adventure, both kids and their families will join Pip, Pebble and Finn on Expedition 12 to save the Island and defeat the villain Joules Volter. Our skilled actors will guide you through multiple purpose designed spaces, where you will face fun interactive challenges and help the story unfold. The end result is an hour-long inspirational “hero’s journey” where you will be dazzled by live performers, puppets, interactive set pieces and animated characters. Take the journey, and find your inner spark.